In this time of sky-high oil prices one couldn't be blamed for expecting sky-high flight prices. 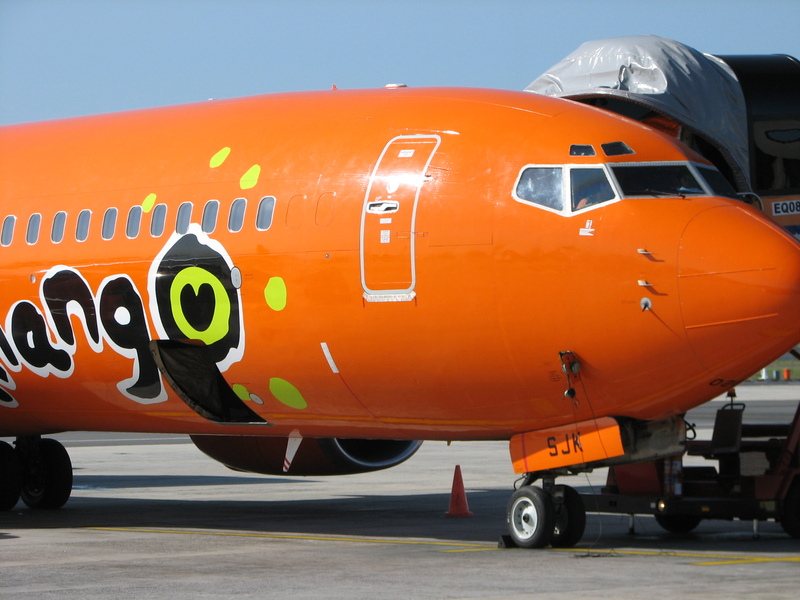 However, that little orange carrier has, against these odds, recorded the lowest flight price we've surveyed from Joburg to Durban over the last year, and is 31% cheaper than the second cheapest flight (1time) - a larger price gap than one would expect to find in a competitive market. 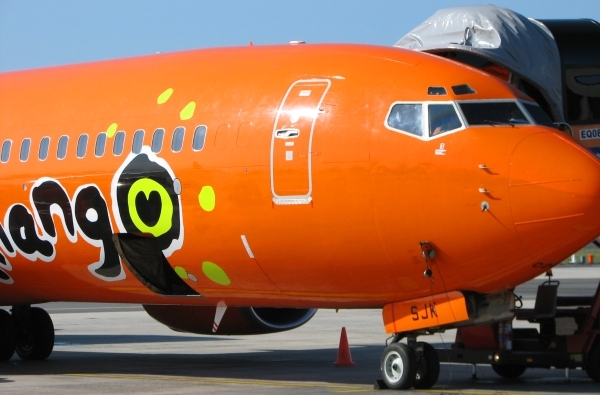 Mango flight JE283 is scheduled to leave Joburg at 2035 and arrive in Durban at 2150. Astonishingly, not only was today the cheapest flight we have surveyed from Joburg to Durban, but also the first time Mango Airlines has offered the cheapest flight (go big or go home) in our surveys from Joburg to Durban. Congratulations to Hein Kaiser. The previous cheapest flight from Joburg to Durban was with Nationwide Airline, surveyed on the 7th July 2007 (and flying 4 weeks later). At the same time as Mango is setting a record low flight price from Joburg to Durban, bus prices have gone up slightly. Excluding the Baz Bus (which is operating in a different market) the average bus price has risen to R146 (as compared to R132 when we previously checked on the 2nd Feb 2008). However, SA Roadlink is still cheapest and still offering R99 bus trips from Joburg to Duran. As usual, the Road Lodge offers you the cheapest night's accommodation in Durban, however this week the Protea Hotel Edwards takes the title for the most expensive night's accommodation (last survey it was the Suncoast Hotel & Towers). Car rental prices do not seem to move much from week to week, and Tempest car hire is once again offering the cheapest car rental for the weekend. Photo of an Air Botswana aircraft taxying at O.R. Tambo International Airport. Photo taken in January 2008. Dr Charles van der Horst tells the New York Times how he turns the endlessly long South African Airways (SAA) flight from New York to Johannesburg into an opportunity to do a workout. He performs lunges, pushups and crunches in the aisle of the plane, before enjoying a sponge bath in the restroom. late at night, with "this being South Africa" there are very few people around and the airport is reduced to a "massive airconditioned warehouse"
"I would wail around in a tone deaf fashion and cover myself in bells to complete the metaphor, but worry that I might attract the attentions of the airport police"
He was warned that his laptop might get stolen by "drive by airport thieves". "We do not consider that we have a public service commitment. We believe we have a commercial mandate. While I do not wish to give the impression that the company is driven solely by profitability, profitability is critical. It is important to highlight that we are driven by viability, and that for us to be viable, we must be profitable. Aer Lingus has a commercial mandate and operates commercially. Clearly, our view is that the company must generate a profit on all of its activities, for which I make no apologies. This perspective became very clear to us in 2001 when we were faced with closure. I have stated this before, but it must be said again. " Willie Walsh, head of Aer Lingus (major competitor of Ryanair flights) quoted in the biography of Michael O'Leary: "A Life in Full Flight: The story of the man who made Ryanair take off".